Christmas was good to me this year. Ben got me a DSLR camera!!! We have both been separately looking at purchasing one for a while (years) and he decided to take the plunge and get me one for Christmas... He is the best! After some research, we decided on an entry level one that wouldn't break the bank and fits my needs. 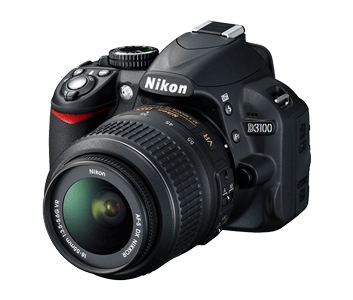 I got a Nikon D3100. sidenote: We drew an eyebrow on Clove (thanks for the idea Pinterest) and this is the first picture that was taken on the camera. Photo credit to Ben. I took Clove out on a walk on one of Cincinnati's first snowy days/one of my sick days and took some pictures of her, our alleyway, and the golf course behind my apartment. All of the pictures are unedited and uncropped since I still haven't gotten my computer fixed. I have only played with it a little and mostly taken some pictures on the automatic mode, but I'm really looking forward to spending some more time learning about all the features that this camera offers and taking good pictures in general. I know I have a lot to learn. Isn't Clove just precious?! I love dogs playing in the snow and she seemed to really like it.